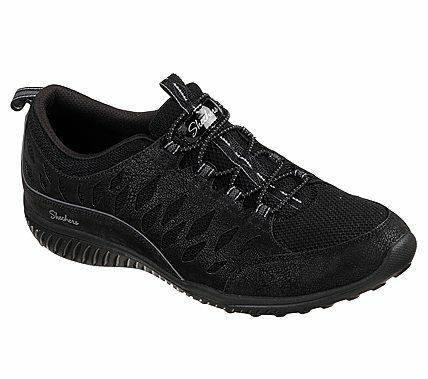 Experience the pleasure of sleek style and easy-wearing comfort with the SKECHERS Be Light - My Honor shoe. Smooth leather-textured microfiber and mesh fabric upper in a slip on bungee laced casual comfort sneaker with cutout side detail, stitching and overlay accents. Air Cooled Memory Foam insole.